Arthri-D3 is a dietary supplement that has been promoted heavily on TV infomercials as a means of relieving arthritis pain. Both the infomercial and Arthri-D3 website state that it is "a revolutionary formula that combines one of the highest grades of glucosamine with key plant extracts." There are no specific indications for Arthri-D3 other than to promote general joint health. The term "Arthi" is meant to suggest that it has arthritis benefits, although there is no direct mention of arthritis or any other joint condition (such as bursitis or tendinitis) in the company marketing. Arthi-D3 cannot be used in people with a shellfish allergy. Each bottle of Arthri-D3 contains a one-month supply of 120 capsules. The manufacturer recommends taking two capsules in the morning and two capsules in the afternoon or evening, preferably with a meal. Because Vitamin D is fat-soluble, it better absorbed with food. 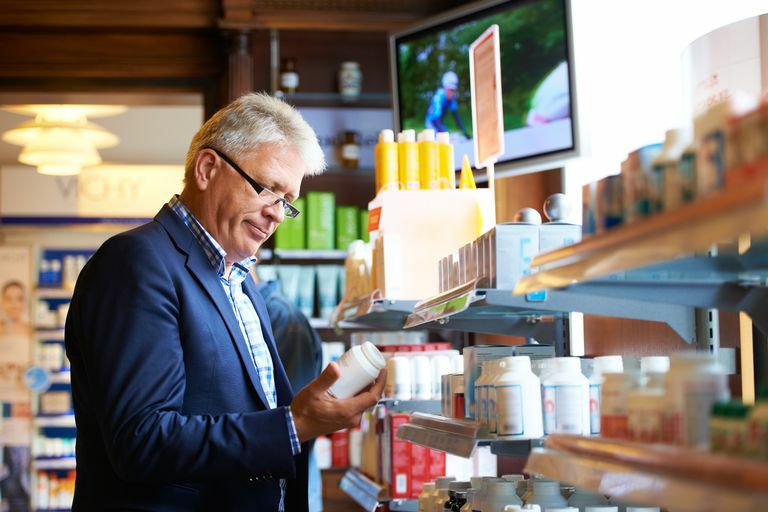 The manufacturer further recommends that you take the supplement for at least three months to "feel its full range of benefits," although it is never clearly indicated what those benefits may be. The Arthri-D3 website does not list any evidence in support of its claims other than to include a few reviews from customers (first names only). As a dietary supplement, Athri-D3 is not required by the U.S. Food and Drug Administration to undergo the same level of rigorous testing seen with pharmaceutical drugs. While dietary supplemental manufacturers are not allowed to make false claims about their products, the industry as a whole is poorly regulated and largely left to police itself. This is not to suggest that glucosamine is entirely unsupported in its benefits to people with arthritis. The problem is that most of the studies, such as that performed at Juntendo University in Tokyo in 2016 and 2017, are so small and short as to limit any conclusions they can reasonably draw. Other investigations, such as a review of studies conducted by the University of Liège in 2012, are hampered by affiliations with supplements manufacturers. While most researchers will accept that glucosamine may offer some benefit to people with arthritis pain, they will also assert that there is no way to know what, if any, impact the supplement will have on disease progression and why the purported benefits are achieved in some studies and not in others. This viewpoint is shared by the American Academy of Orthopaedic Surgeons which stated: "There is no proof that [glucosamine] will actually slow the degenerative process or restore cartilage in arthritic joints." American Academy of Orthopaedic Surgeons (AAOS). (2009) "Glucosamine and Chondroitin Sulfate." AAOS Research Committee fact sheet, Osteoarthritis, and the Arthritis Foundation. Rosemont, Illinois: AAOS. Henrotin, Y.; Mobasheri, A.; and Marty, M. "Is there any scientific evidence for the use of glucosamine in the management of human osteoarthritis?" Arthritis Res Ther. 2012; 14(1):201. DOI: 10.1186/ar3657. Kubomura, D.; Ueno, T.; Yamada, M. et al. "Effect of N-acetylglucosamine administration on cartilage metabolism and safety in healthy subjects without symptoms of arthritis: A case report." Exp Ther Med. 2017; 13(4):1614-21. DOI: 10.3892/etm.2017.4140. Tomonaga, A.; Watanabe, K.; Fukagawa, M. et al. "Evaluation of the effect of N-acetyl-glucosamine administration on biomarkers for cartilage metabolism in healthy individuals without symptoms of arthritis: A randomized double-blind placebo-controlled clinical study." Exp Ther Med. 2016; 12(3):1481-89. DOI: 10.3892/etm.2016.3480. Does Vitamin C Have a Positive or Negative Effect on Arthritis?